Magico is one of those brands that helps redefine the shape and scope of the high-end loudspeaker world. Although it has made some products that fit into the ‘attainable’ end of that market (such as the S1 Mk II), the company’s attentions have long been focused on the more uncompromising end of the market. The company makes products that deliver what Magico and its customers feel is the best loudspeaker you can buy at the price, but that performance would never be sacrificed in favour of a cheaper price tag. But, what the rest of us would want is a loudspeaker that has the same uncompromising stance but does bring the price of Magico to a wider audience. That’s a big ask. Of course, alongside that uncompromising engineering stance, there’s one other heady wine supped by designers… they love a challenge! 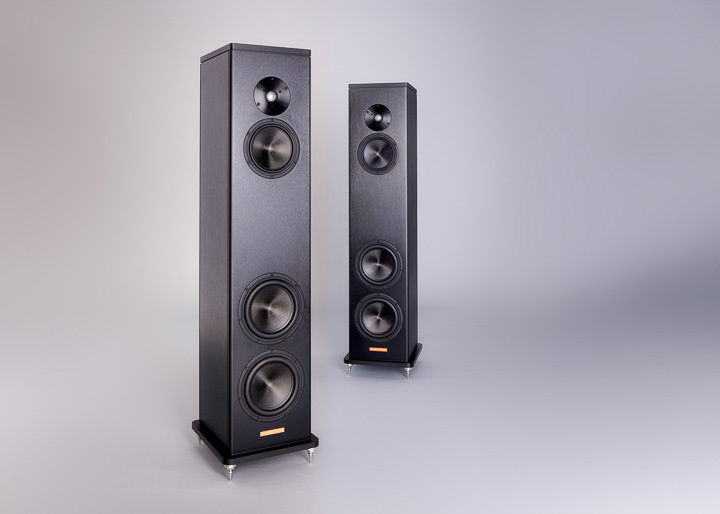 That’s the impetus for the new Magico A3: trying to shoe-horn the technologies and standards of loudspeakers often costing hundreds of thousands into a package that costs a shade under £12,000 in the UK, but without sacrifice or compromise. Frankly, most of us who know what Magico stands for thought it wouldn’t be possible. The A3 would have to be compromised, somewhere. Alon Wolf of Magico is currently on a bit of a world tour with the new A3. Last week, it was the UK’s turn, and a select group of journalists fell upon KJ West One in the heart of London’s West End to see if the loudspeaker would live up to its potential. The A3 itself retains a surprising amount of Magico DNA. Like its bigger brothers, the new three-way, four driver design features a fully-braced, sealed, anodised enclosure that is made of aircraft-grade 6061 T6 aluminium. The crossover still features Magico’s ‘Elliptical’ design, an enhanced variation on the 24dB/octave Linkwitz-Riley network, which bristles with high-end components, too. This feeds carbon nanographene cones with neodymium magnets for the 152mm midrange and two 177mm bass drivers, and the 28mm dome tweeter. Here, the tweeter uses a diaphragm of pure beryllium instead of diamond-coated-beryllium. Something of a first for Magico; the drive units are replaceable in the field, rather than necessitating a return to the San Francisco factory, and the 50kg, 112cm tall loudspeakers are shipped in boxes rather than crates. The blurb from Magico described the A3 as a “simplified Q Series design” (in terms of the enclosure at least) but this didn’t accurately describe how close these come to their bigger brothers in performance. This is a smaller loudspeaker than something like the S3 Mk II (probably the closest product to the A3 in the existing range), but in the context of the sort of listening room a £12,000 reasonable sized tower loudspeaker might wind up being used in, the A3 might just be well-nigh perfect. It was an all-too-brief listening session, about 20 minutes all up, so deeper impressions of the loudspeaker should be tempered by that, but even in 20 minutes you can hear where something fits on ‘The Good, The Bad, And The Ugly’ continuum, and this was clearly on the side of the Good. It had all those Magico properties of precision and accuracy of stage, focus, detail, and micro-dynamic resolution, just in a package designed for more real-world listening use. On first listen at least, this window into the music could have easily passed for a much bigger, much more expensive loudspeaker. On first listen, I want a pair! Putting a scoop of audio journalists in the same room is like herding cats but getting them to agree on something is practically impossible. But for once, there was consensus. The technocrat loved the engineering. The rhythm-kings loved the way the sound ‘timed’. The penny-pincher loved the idea of getting a £28,000 sound in a £11,998 package. The Magico fans found their new entry-level to high-performance audio. Even the curmudgeonly tech scribe who doesn’t normally deal with high-end audio was impressed. This is an important loudspeaker for Magico, as it puts the brand in front of a new audience who hitherto could only aspire to the company’s products. But perhaps more importantly, it’s an important loudspeaker for high-end in general. 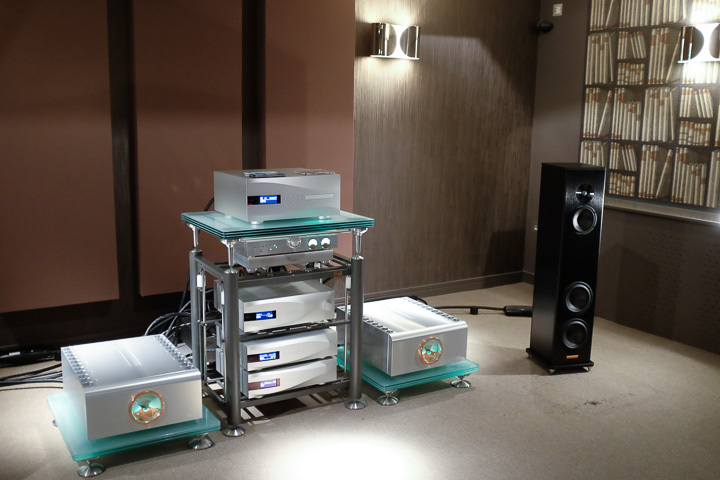 Yes, we heard it on the end of some extremely high-end equipment (dCS, D’Agostino, Transparent, and Artesania) but it is designed to be used with more affordable partners (Alon mentioned Hegel’s big H360 integrated amplifier more than once, suggesting it had been used as part of the test platform). 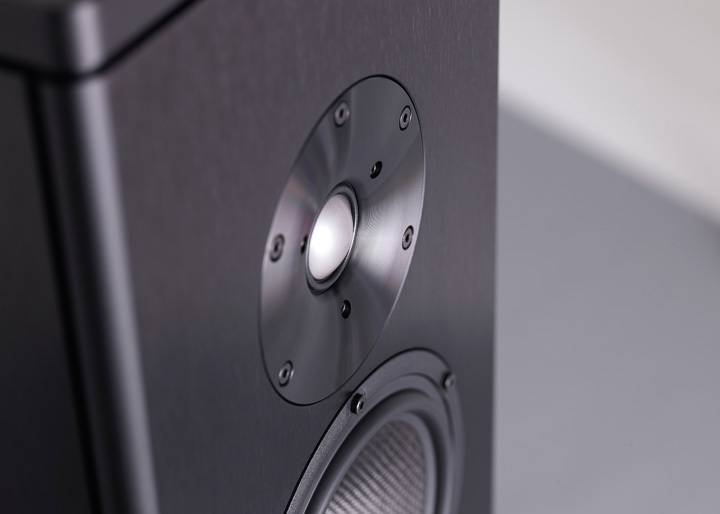 That means Magico is looking to the A3 as part of a system costing the right side of £17,000, with all the performance that loudspeaker brings to the table. OK, for many that’s still a lot of money, but I honestly can’t think of a system that will deliver more for less.